Some want to walk across the moon. Some just want to walk in the rain. Some want to touch a stranger. Some want not to be touched by strangers. Some want to stretch their arms, high, over their heads. Some want not to shave. You can be anonymous, if you choose. You could be anyone, any age, write to us at blurtblanknoise@gmail.com if you want to be part of the Kolkata Blank Noise community. Please let me know if you will be there...and do bring along anyone who might be interested. MAY 12-15 WE NEVER ASKED FOR IT- BUILDING CLOTHES INSTALLATION IN DELHI. 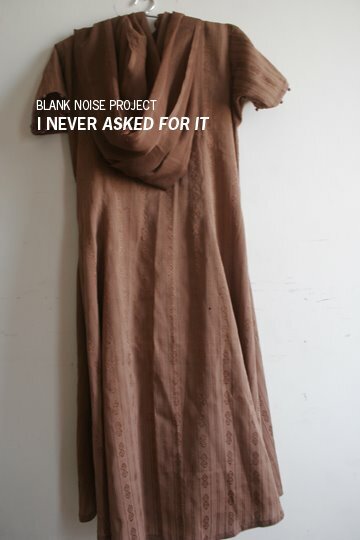 Blank Noise in association with PSBT invites you to participate in building WE NEVER ASK FOR IT. WE NEVER ASK FOR IT asks you to take a stand, and believe that you never 'provoked' someone to violate you. 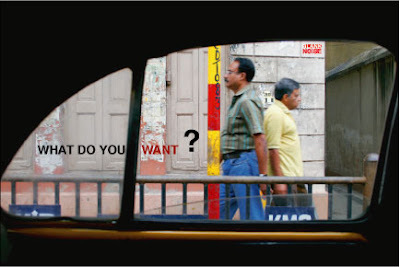 We ask you to bring garments you wore when sexually violated / 'teased', harassed on the streets. Each given garment is a witness and a testimonial to the incident. Blank Noise has been receiving clothes from the public over the last year. When we have received 1000 garments we will install them on the streets of cities. We look forward to seeing you and the garment soon at India Habitat Center between the 12th and the 15th of May. This installation is part of PSBT'S " International Festival on Gender and Sexuality ", which is beginning on May 12th 2007 at Indian Habitat Center. Steins Auditorium at Indian Habitat Center, Lodhi Road, New Delhi. We are also looking out for volunteers to help put this installation up and ready. You could volunteer to collect clothes from friends/ relatives anyone! You could also volunteer your time between the 12th and 15th. So be there, and bring your clothes along! because I hate to keep you in suspense I am writing about what happened a month after I put these photos up! He gives me the blank look after which I direct my hands in a manner that indicates he must move a little away from me so that I can reach my seat. After all, the last thing I need to do is get my body brushed against a stranger's- especially when there is no dirth of space. He succumbs but hisses a " zzzxsssk!" staring my anatomy into little pieces. In less than 3 minutes I realize that he has the seat in front of me. The seats recline, the hands recline even further. All between him and me is the needle. More on Jagori's Safe City audit report... here.